Traditional and modern entertainment tourist attractions are not the only ones worth visiting in Denmark. There are many other unique spots that you need to explore if you want to get to know more about what this Scandinavian country is doing to save the environment. In other words, do a green tour of Denmark land instead for a change. One green farm that you need to check out is the Horns Rev 2. This farm is not about animals and green fields. It’s actually a wind farm, the world’s largest wind farm which is set to go into full operation this Thursday. 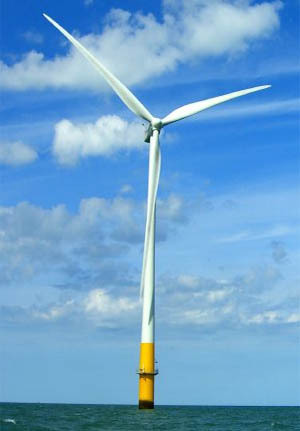 Situated 30 kilometers off the coast of Denmark land, the Horns Rev 2 was put up by Dong Energy, a Danish owned utility. This Danish wind farm worth $1 billion is unlike any other because it is located offshore and has 91 turbines in all installed in an area measuring more than 35 square kilometers. The turbines were made exclusively by Siemens, a popular engineering firm based in Germany. These wind turbines are great examples of green utilities. They are projected to generate some 209 megawatts of electricity sufficient to supply 200,000 homes. The move to install the wind turbines offshore was made due to the fact that Western Europe is now densely populated. This only means that situating them onshore has become a bigger challenge specifically in getting permission for land installation. Other then energy efficiency, the Dong Energy believes the wind farm will help generate employment going forward. A recent study done by the European Wind Energy Association revealed that offshore wind could be a major source of employment in Europe by 2025. Some 200,000 jobs are expected to be provided during the period up to 2025. Currently, accommodation is being proposed to be installed at the wind farm for the 24 workers who work there to provide on-site maintenance.